I actually discovered this week's office crush last week and it very quickly got a lot of love on Pinterest! After seeing how much people loved it, i knew i had to share it with you all! 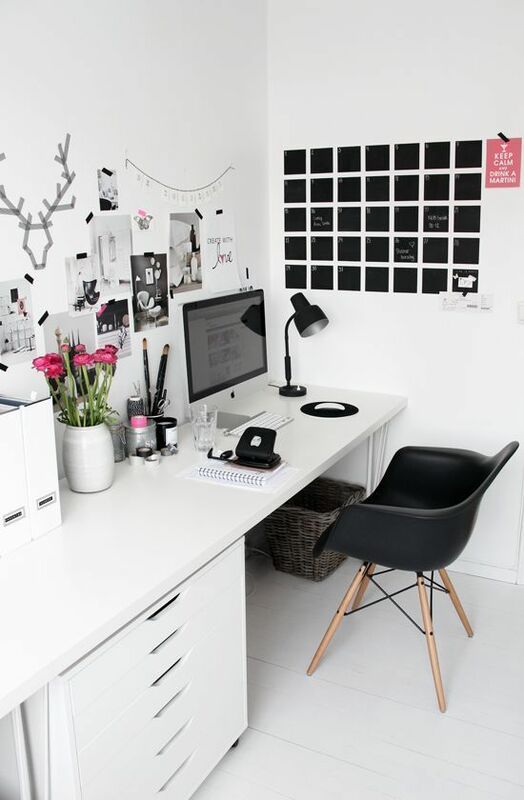 I know plain white walls are a bit like marmite but this monochrome look is just stunning don't you think? I just love how clean and organised the whole office feels. The pops of colour in the flowers and the accessories really make it for me!